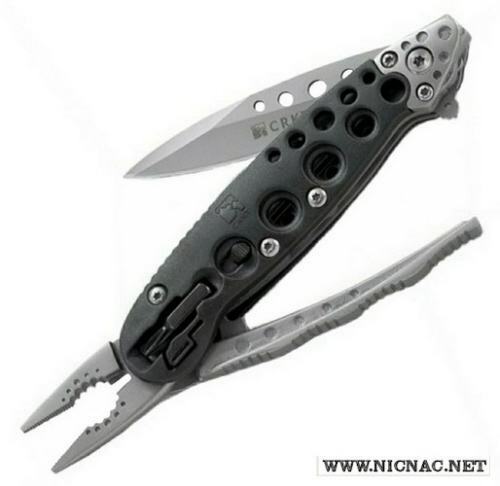 CRKT Zilla-Tool Jr. Model 9065, Overall open length 7.5 inches. Closed 5.25 inches with a blade length of 2.25 inches. Designed by Launce Barber and Tom Stokes featuring spring loaded pliers with a slight tapered needle nose for a great grip. Near the base of the pliers is a wire cutter with a notch near the handle for wire stripping. A great bottle opener too!